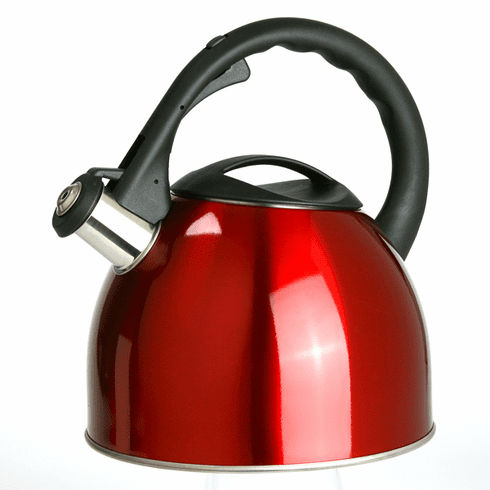 A stylish addition to your kitchen, this 2.75Qt tea kettle with it's classic whistling alerts you when the water is boiling and it's tea time. Constructed of stainless steel with an encapsulated base. Comes in a beautiful glossy red. Easy lock/release whistling spout. Stay cool handle. Hand washing recommended.